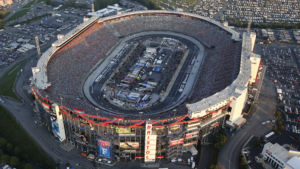 NASCAR and Bristol Motor Speedway officials announced today that starting time adjustments have been made for tonight's Food City 300 and for Saturday's Bass Pro Shops NRA Night Race. Tonight's Xfinity Series race has been moved up 15 minutes with the green flag scheduled to drop at 7:28 p.m. (ET). Saturday's Monster Energy Cup Series race will start an hour earlier with the green flag waving at 6:46 p.m. (ET). Race officials made the changes given the weekend weather forecast. "We decided to move the starting time for those races after discussing the forecast scenarios with our team of meteorologists, NASCAR and our television partner," said Jerry Caldwell, executive vice president and general manager, Bristol Motor Speedway. "Our weather team has indicated that the forecast shows pop up showers in the area and we feel this move gives us a more favorable window to complete tonight's Food City 300 and tomorrow night's Bass Pro Shops NRA Night Race." Gates will open Saturday at noon and the Track Walk will take place from 12:30-4 p.m. Fans should enter no later than 3 p.m. for the Track Walk. 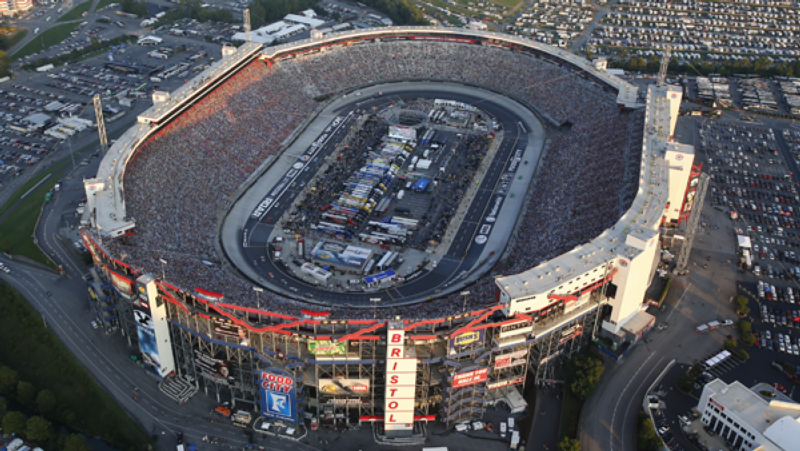 The State Water Heaters Pre-Race with Joe Nichols moves to a start time of 4:38 p.m. Bristol's popular driver introductions, where each competitor enters The Last Great Colosseum to the tune of a favorite song, will begin at 5:50 p.m. Cold passes will be honored from noon to 5:30 p.m. The NASCAR Trackside Live stage programming will take place from 3-4 p.m., while the TweetUp will occur at 3:30 p.m. outside the O. Bruton Smith Building. The annual 5K is still scheduled for an 8 a.m. start.